get through (can’t get through), pick up, hang up, break up, call (someone) back, cut off, on hold, hold on, put (me) through. Can I speak to …, please? – Calling an office to ask for Steven, then connect the two people. – Calling the office to ask for Steven, he’s not in. – Returning a phone call to Steven. Do you find this useful? Please share this post. Are you achieving a market orientation as a #business ? 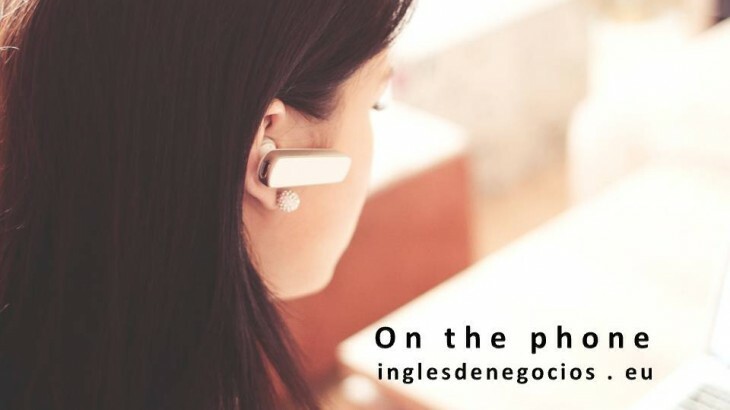 Customer Service aprender inglés, aprender inglés rápido, bonificada, business english, clases de inglés, clases de inglés a empresas, cómo se dice en inglés, empresa, formación, idiomas, inglés, inglés de negocios, inglés de negocios vocabulario, inglés empresarial, inglés en Granada, inglés en Madrid, inglés en Málaga, inglés en Marbella, inglés en Sevilla, inglés gratis, inglés malaga, inglés online, posts en inglés, U24Business, YouTooForBusiness. permalink.